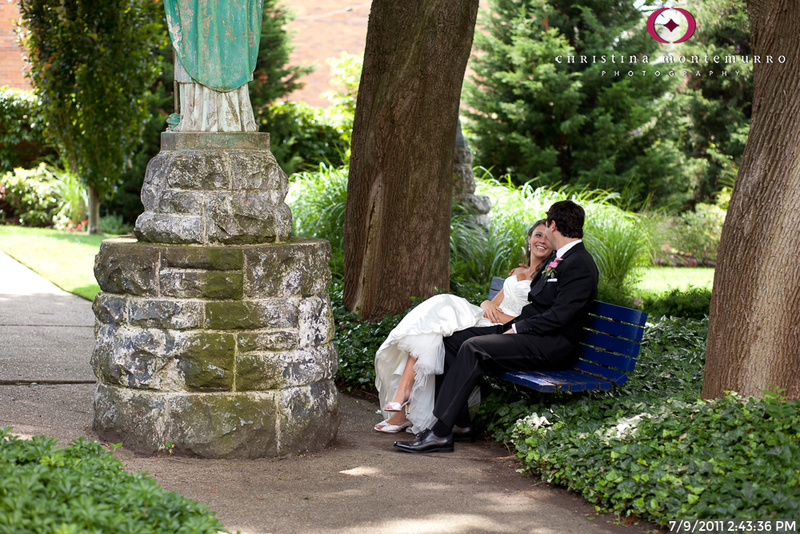 WHY IS ST. PATRICK’S COURTYARD GARDEN A GOOD CHOICE FOR WEDDING PHOTOS OR AN ENGAGEMENT SESSION?? 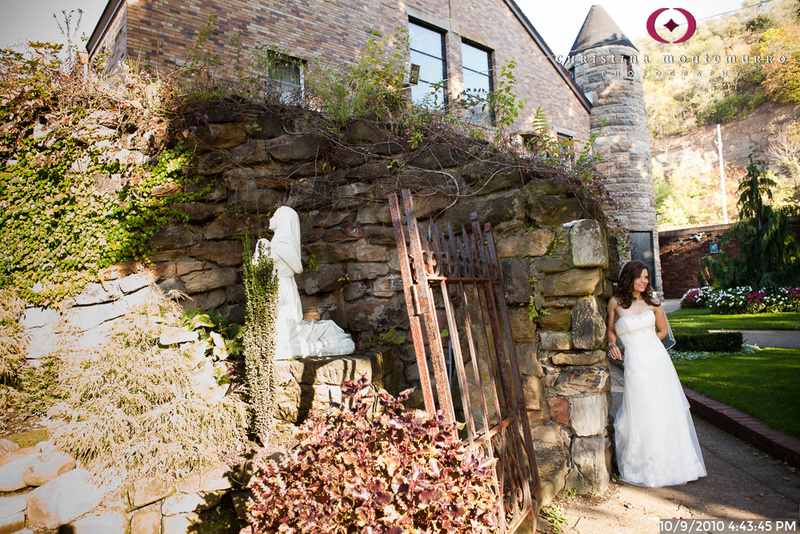 For a small space, this courtyard garden has a lot to offer. 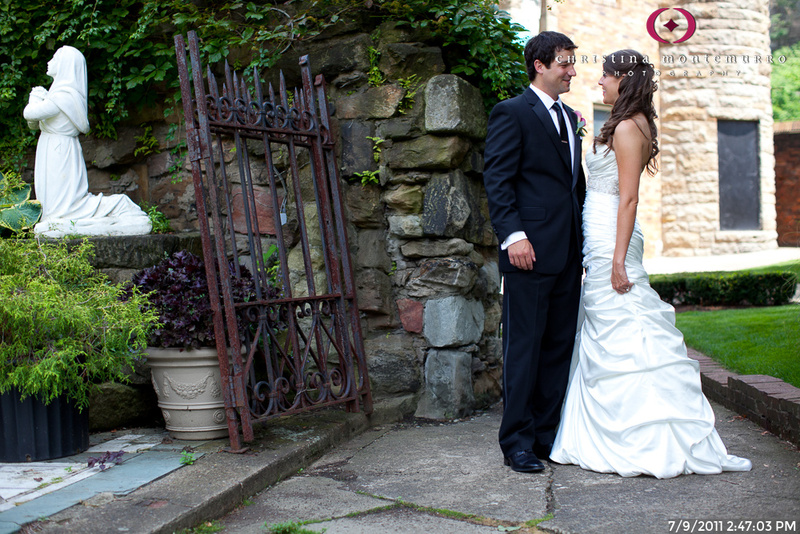 Paved paths, a rusty gate, a blue bench, colorful flowers and brick walls offer a lot of options. If you want something green and park-like that’s convenient to the Strip District, this is a good choice. You’ll see three different seasons in the photos here, and note that it looks great in every season, even on a July afternoon. Sort of open to the public… you can walk right in, but it’s best to call first to confirm permission. It’s a little far to walk here from the Heinz History Center. 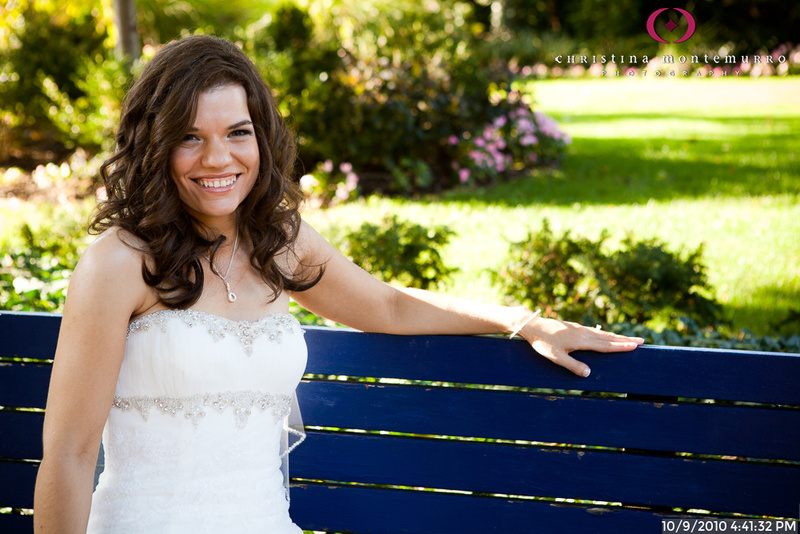 It’s not impossible, but on a very hot or cold wedding day, or with uncomfortable shoes, it will feel like a long walk.